We are offering our extensive inventory online! Individually photographed pieces of over 50 species are already listed and more stock is being added daily. What would you like to see? Watch our YouTube video to get a taste of our facilities and see our awesome inventory! The Rare Woods Team has travelled extensively, from Borneo to Zimbabwe, and built up contacts and sources of supply of rare and exotic wood. If we don’t have it we can probably get it! We value the environment and to ensure continuity of supply of rare wood forever, we often promote lesser known species and lower grades. 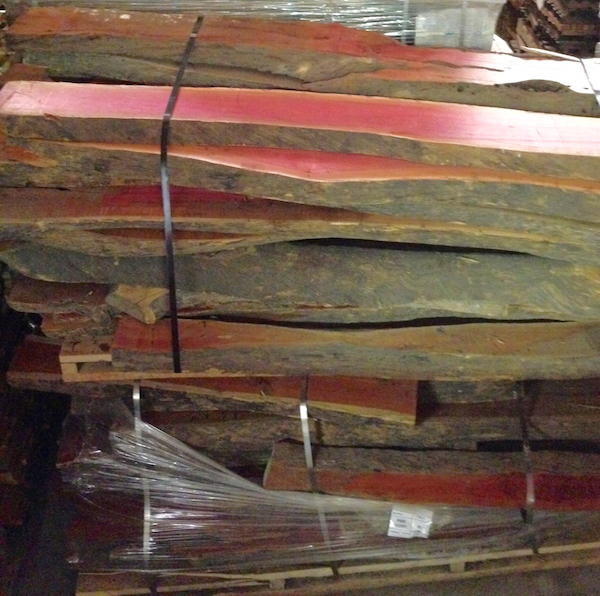 Rare Woods USA is an outstanding source for many rare, exotic timbers. Wonderful, honest people; a true pleasure with which to deal. Our car was loaded with vacation gear so I was limited on size and amount I could buy . I got a beautiful board of Birdseye maple and to 1.5 by 1.5 by 12 inch staves of olive wood . I'll surely make a point of stopping every time I'm through the area in the future .